NOT A Modified Brilliant – a huge majority of Cushions throughout the world are Modified Brilliant. 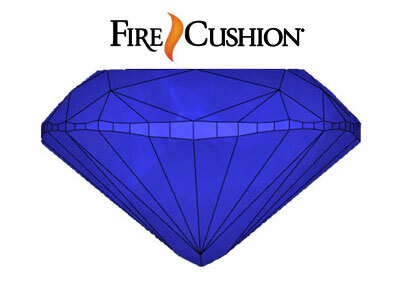 FireCushion is classified Cushion Brilliant by the GIA. Why is this important to your customers? 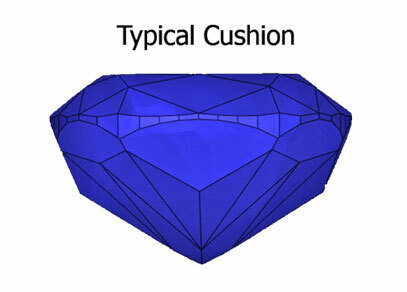 Modified Brilliants are cut with big “bellies”, which do nothing to make these typical Cushion diamonds more beautiful or more brilliant. More Brilliant – uniform brilliance, with an average 95% light return.